An Australian-born engineer, Chris Fitzgerald is Chairman of the World Hovercraft Organization and President of Neoteric Hovercraft, Inc. USA, the world's original light hovercraft manufacturer. For decades, he has served as organizer and Chairman of major hovercraft racing events, including World Hovercraft Week 2002. He was a participant in the World's First Hovercraft Race in 1964, and founded the Hoverclub of America in 1976. Fitzgerald was the Judge in the popular Emmy Award-winning Junkyard Wars Hovercraft episode, televised by The Learning Channel, and is co-author of two hovercraft books, Hovercraft Technology, Economics and Applications, and Light Hovercraft Design. Bob Windt, an aeronautical engineer, is the founder of Universal Hovercraft, USA and created the prototype design for the DiscoverHover One. Windt is considered by the Learning Channel's Junkyard Wars to be "the godfather of personal hovercraft." He is also the designer of the world's fastest light hovercraft and holds the Guinness Hovercraft World Speed Record of 85.376 mph (137.40 km/h). Windt presented a keynote address at World Hovercraft Week 2002, covering the evolution of homebuilt hovercraft in America. alan.a.bliault@shell.com Alan Bliault has been a hovercraft enthusiast most of his life. Bliault's father was an office holder in the young days of the Hovercraft Club of Great Britain. Together they published one the greatest hovercraft magazines, Air Cushion Review, which Bliault continued for more than 5 years. He went on to become one of the leading engineers for Shell Petroleum, International Exploration and Production, Holland. In recent times Alan, together with professor Liang Yun, the Deputy Chief Naval Architect of the Marine Design and Research Institute of China, produced Theory and Design of Air Cushion Craft, the leading book on the subject, published by Arnold and John Wiley and Sons, Inc.
Scalf is former President and current Chief Marshal of the Hoverclub of America, Inc. and serves as Chief Marshal for the World Hovercraft Organization and DiscoverHover. He is Adjunct Professor at Southern Illinois University Edwardsville and at St. Louis Community College. A retired U.S. Army Officer and helicopter pilot, Scalf holds commercial airplane and helicopter licenses, flew Hueys and Cobra Gunships in Vietnam, and was a helicopter maintenance test pilot. 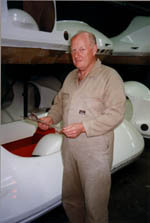 Ken Osmond is 2005 President of the Australian Hovercraft Federation. His long involvement with hovercraft includes three terms as President of Victorian Hovercraft Club, Australia, and four terms as President of the Australian Hovercraft Federation. Nick Jokay is a consulting geomorphologist with a degree in mechanical engineering from Rose-Hulman Institute of Technology. He has had a lifelong interest in hovercraft. Jokay previously served as factory manager in the design and fabrication of recreational and rescue hovercraft at Neoteric Hovercraft, Inc. He has been an active member of the Hoverclub of America since 1989, where he served on the Board of Directors and promoted the Hoverclub's entry-level high school hovercraft program. Bill Zang is one of the world's top hovercraft racers and winner of numerous championships. As President of Universal Hovercraft, USA, Zang provided DiscoverHover with founder Bob Windt's prototype hovercraft design. These original plans were then improved and refined into a professional model, the DiscoverHover One, which meets established educational standards. Eric Goldstein is the president of Goldstein Hovercraft, LLC in Chicago, Illinois, a producer of model hovercraft. With a background in both education and computer science, Goldstein was a researcher at Northwestern University's Institute for the Learning Sciences and is a staunch advocate of the learning-by-doing philosophy of education. James Wallace serves as Education Consultant for DiscoverHover, as well as advisor and author in the development of Curriculum Guides and other educational materials. Wallace also constructed the HoverChair and created DiscoverHover's interactive exhibit for museums. He has a Masters Degree in Science, and has managed the astronomy department of the Children's Museums of both Indianapolis and Arkansas. Wallace also worked at Neoteric Hovercraft, Inc. as a specialist in thrust duct manufacturing and fiberglassing in the construction of light hovercraft. James Benini serves as Education Consultant for DiscoverHover and is a contributor of both drawings and text for the DiscoverHover Curriculum Guides. For 22 years, he has been a Technology Education instructor at Parish Hill High School in Chaplin, CT. Benini received his Bachelor of Science degree in Education from Oswego State University 1981, and his Masters Degree in Special Education from the University of Connecticut in 1986. He and his students have successfully constructed and flown four entry-level hovercraft since 2002. A native of India, Kamal Yadav came to DiscoverHover with an exemplary educational background in Engineering and Physics. His scores on the entrance examinations for the Indian Institute of Technology in Bombay placed him in the top 1200 of a field of 150,000 applicants. ITT is India's premier institute of technology and is one of Asia's top colleges. As a top graduate of ITT with a degree in Engineering Physics, Yadav was a distinguished recipient of full financial support from Rose-Hulman Institute of Technology, consistently rated at the #1 engineering institute in the U.S., where he completed his Master of Science Degree. 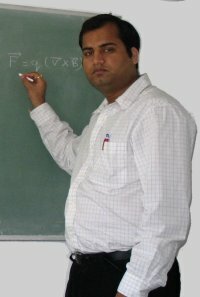 At DiscoverHover, he employed his notable background in Engineering and Physics, and his extensive computer skills, to develop curriculum materials that best illustrate the fundamental principles of hovercraft construction and operation. Tristan Linck, of Grand Junction, Colorado, USA, is working at Neoteric Hovercraft, Inc. on the DiscoverHover program. At DiscoverHover, Linck applies his expertise in the development of programs and curriculum materials for member schools that will facilitate the teaching of fundamental Physics principles and their application to hovercraft. Aaron Hogan designed both the DiscoverHover and World Hovercraft Organization's web sites, and serves as Graphic Designer for all online and printed materials for both organizations. Dr. Patrick Ferro is a Registered Professional Engineer and serves as Assistant Professor of Mechanical Engineering at Rose-Hulman Institute of Technology, the top-rated engineering institute in the USA. He received his B.S. degree from Cornell University, his M.S. degree from Oregon Graduate Center, and his Ph.D. from Colorado School of Mines. Dr. Ferro implements quality control of the technical aspects of the DiscoverHover Curriculum Guides, ensuring that all materials are accurate, timely, and adhere to the highest science and engineering standards. A native of Melbourne, Australia, Robert Wilson is President of Neoteric Engineering Affiliates, Pty. Ltd. in Australia, and Technical Director for Neoteric Hovercraft, Inc. USA, the world's original light hovercraft manufacturer. With lifelong experience in hovercraft design and CAD, he leads the Engineering and Design functions for all DiscoverHover hovercraft, setting new standards with the new DiscoverHover One design. 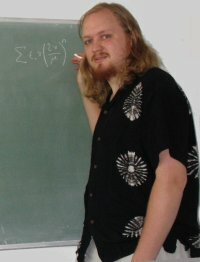 Wilson is a graduate of Mechanical Engineering from Footscray Institute of Technology, Melbourne, Australia, and co-author of Light Hovercraft Design. His former experience includes: a four-year apprenticeship in Automotive Electronics and an Automotive Technicians Certificate from Gas and Fuel Corporation of Victoria; Engineer Intern at Steelweld Cranes Pty. Ltd.; Project Engineer, REPCO Engine Technical Centre, Pty. Ltd.; and Product Development Engineer and Technical Director, Fitzgerald and Sons Pty. Ltd. Wilson is a member of the Australian Society of Automotive Engineers and the Hoverclub of Australia. An active member of the Australian Hovercraft Federation, Envall began his drafting experience in an automotive mechanic apprenticeship. He has since earned an Associate Diploma of Engineering and is an independent contractor in Melbourne, Australia, where he performs CAD drafting for his clients. Martin Shima, from Buenos Aires, Argentina, graduated from Vincennes University in Indiana, after which he worked as a Detail Draftsman for Matsushita Home Appliance Co. in Kentucky. In May 2004 he earned a degree from Indiana State University, where he studied Mechanical Design Technology. David Oelschlager served an internship at Neoteric Hovercraft, Inc., utilizing AutoCAD on hovercraft drawings and bills of materials. As a student leader earning a Technology degree at Indiana State University, he was head of the local chapter of the Society of Automotive Engineers as well as the AMIE Chapter's DiscoverHover program.